Most manufacturers are offering at least some form of AEB. However no two systems are created equal. 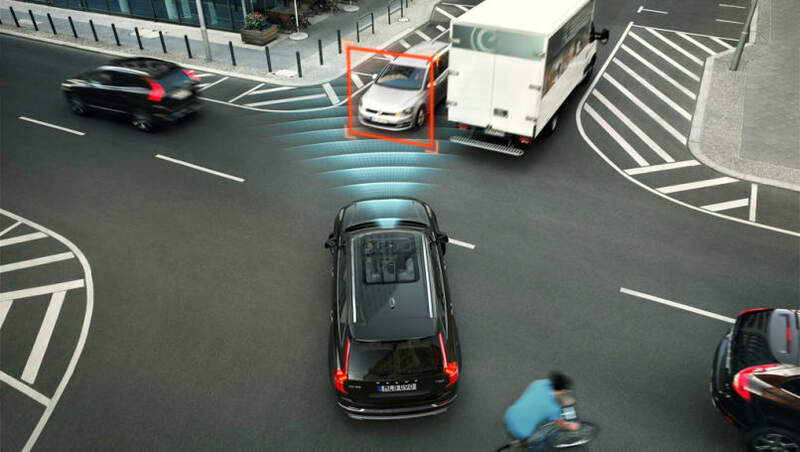 AEB is one of the most significant steps forward in terms of car safety in recent years, but different systems and brand terms can easily confuse consumers. AEB or Auto Emergency Braking follows on from a legacy of other, very helpful, three-letter acronyms that may have saved your life or insurance policy in the past like ABS (Anti-lock braking) or ESP (Electronic stability control). The system works by using a series of sensors to measure the distance between the car and objects in front of it. Those signals are processed by the car’s computer, and if an imminent collision is detected the vehicle will apply the brakes automatically, if the driver has not responded in time. You can read more about how it works here. To give you an idea for the effectiveness of these systems, a study by Euro NCAP and ANCAP back in 2015 revealed that the introduction of low-speed AEB systems resulted in a 38% reduction in real-world rear-end collisions. This has prompted ANCAP to make AEB a requirement for new vehicles to score a maximum five-star rating (from 1 January 2018 onward). However, as manufacturers scramble to place AEB in vehicles across their ranges to keep up with these requirements, confusion has started to set in. There is a vast plethora of brand terms like ‘Brake support’, ‘Smart City Brake Assist’, ‘pre-collision assist’ etc. that become a minefield for buyers, and worse still, no two systems are the same. Volvo first brought AEB to consumer vehicles in 2009. Its current safety suite is called 'Intellisafe'. Some systems will only support braking at less than 30km/h, some only support it from 60km/h plus, and some support it at freeway speeds north of 200km/h. Even when you get to reading the specifications, manufacturers can be (arguably deliberately) vague about the conditions under which their AEB systems will work. 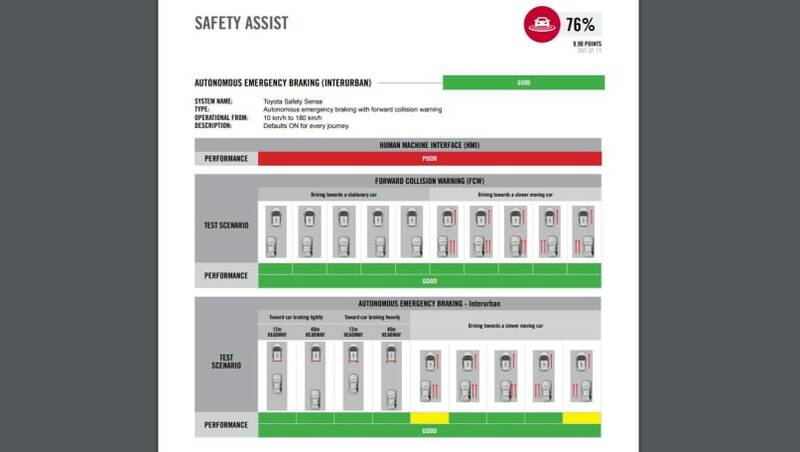 Some brands place AEB under an umbrella of other active safety items (like Toyota’s ‘Safety Sense’ suite), yet the abilities of the system can change from car to car, so the presence of branded suites is no guarantee of performance. The current Prius, for example, has AEB (referred to by Toyota as ‘pre-collision safety system’), but not with pedestrian or cyclist detection, which is present on the new Corolla. Toyota also does not specify a minimum or maximum speed for its AEB systems, although ANCAP rates the 2019 Corolla’s ‘interurban AEB’ score as “good” at speeds up to 180km/h. The Prius has not been tested to the 2018 standards. Over at BMW, active safety falls under the umbrella of ‘BMW ConnectedDrive’ and AEB falls under a term called ‘City Brake Activation’ which is said to work between 10km/h and 60km/h. Some BMWs, like the recently updated X4, can be fitted with ‘Drive Assist Plus’ which will work in tandem with the Active Cruise Control to produce AEB at freeway speeds that remain unspecified. Some Volkswagen group products, like the Skoda Karoq, have Auto Emergency Braking that works up to 210km/h thanks to the system working with active cruise control at autobahn-like freeway speeds. Mazda’s AEB systems are broken into two grades, with ‘Smart City Brake Support’ standard across most Mazda models covering city speeds, as well as the more advanced ‘Smart Brake Support’ on more expensive models like the CX-8 supporting emergency braking up to 80km/h and working in tandem with active cruise systems beyond that at ‘freeway speeds’. Most Mazda models are now fitted with low-speed AEB as standard. Only higher variants or more expensive models have freeway-speed AEB. Other manufacturers explicitly supporting higher-speed AEB on their model-ranges include Audi and Telsa. Make sure to consider whether autonomous braking is an optional extra on some cars. It is worth noting that AEB working in tandem with active cruise control will not always support full emergency braking at freeway speeds. Most manufacturers refer to this discrepancy as ‘two-stage braking’ or ‘brake assist’. 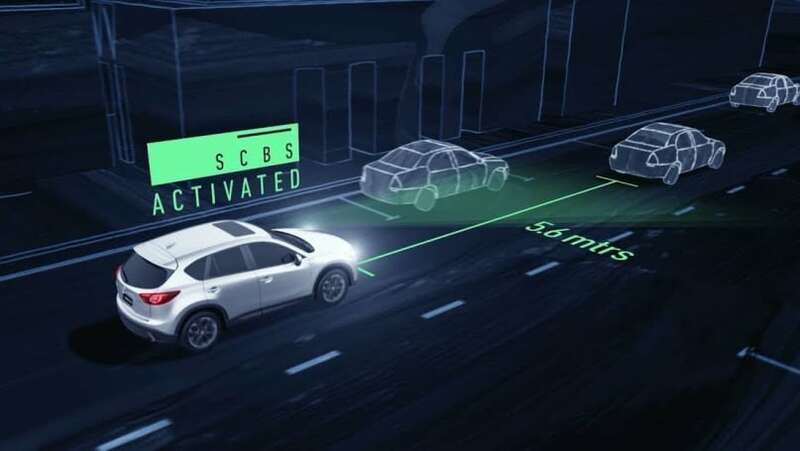 What this means is that while the car can detect an imminent collision at freeway speeds, it may not necessarily come to a full stop without human intervention. The car will automatically apply brakes to slow the vehicle, but requires human intervention to depress the pedal further to get the vehicle under its AEB threshold, which as you’ll know by now, can be city speeds as low as 30km/h. To best determine whether a vehicle from any manufacturer supports freeway speed AEB, look it up on ANCAP’s website and pay attention to the ‘AEB Interurban’ score. What the Toyota Corolla's high-speed AEB scoresheet from ANCAP looks like. Keep in mind this will only apply to vehicles rated after ANCAP’s change of criteria from the 1st of January 2018. ANCAP now tests the AEB systems of vehicles from 10-180km/h and covers a variety of potential impact scenarios. As AEB technology is under constant scrutiny and evolution and therefore in a constant state of change, make sure you research each vehicle thoroughly to determine the functionality of the system on the specific variants you are considering. 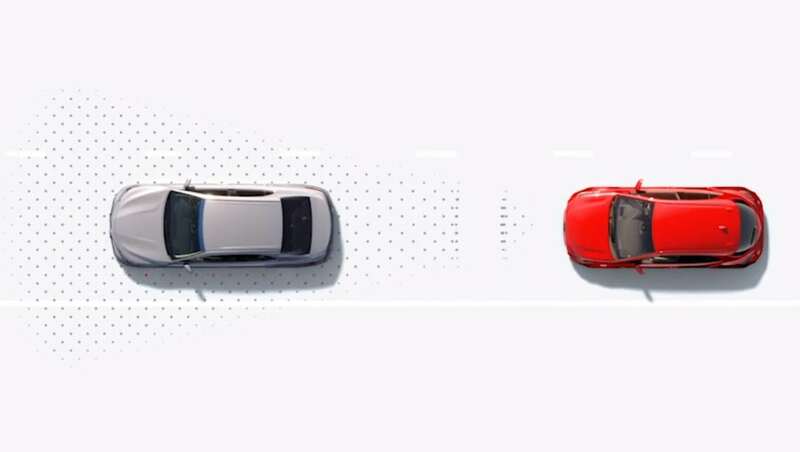 Remember that autonomous systems, even precariously named ones like Tesla’s ‘Autopilot’, are assistance systems only and not a replacement for safe, attentive driving. Does the effectiveness of Autonomous Emergency Braking affect your purchase decision? Tell us what you think in the comments below.